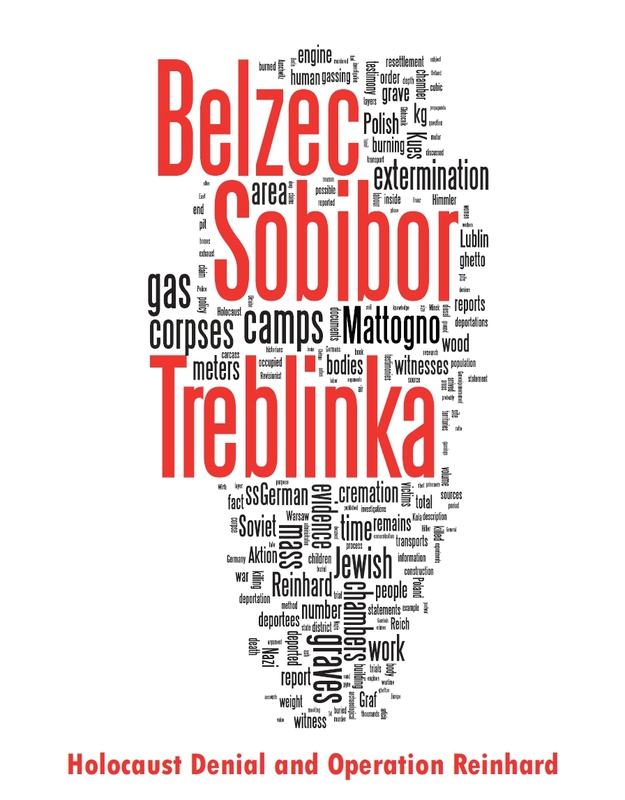 Holocaust Controversies: Belzec, Sobibor, Treblinka. Holocaust Denial and Operation Reinhard. Chapter 6: Death Camp Witnesses (7). Witness Convergences. Belzec, Sobibor, Treblinka. Holocaust Denial and Operation Reinhard. Chapter 6: Death Camp Witnesses (7). Witness Convergences. As has already been or will soon be covered in other areas of this work, witnesses agree with documents on the transport of Jews to the camps, of the property plunder of those deported (and gassed) Jews, and on the burial and subsequent cremation of Jews in Treblinka. In their fallacious attempts to discredit and discard witness testimony (except when it suits them), MGK are quick to point out that no blueprint or unequivocal document exists that mention the gas chambers at the Reinhard camps; thus, the witnesses are viewed as liars, and their testimony as un-credible. What MGK fail to clearly acknowledge, however, is that the witnesses who report on the gas chambers also mention things that are corroborated by documents, or other independent testimonies. This demonstrates and verifies the reliability of the witness statements, a reliability that then extends to their statements regarding the existence of the gas chambers and exterminations in the camps. October 14, 1943, at about 17:00 hours, a revolt of Jews in the SS camp Sobibor, 40 km north of Chelm. They overpowered the guards, seized the armoury and after a shutout (sic) with the camp garrison, escaped in an unknown direction. Nine SS killed. One SS wounded. Two guards of non-German nationality shot to death. Approximately 300 Jews escaped. The remainder were shot to death or are now in the camp. Military Police and armed forces were immediately notified and took over the security of the camp at about 1:00 hours (1:00 AM, October 15). The area south and southwest of Sobibor is now being searched by police and armed forces. In the period from 17.-19.10.43 of the Jews who fled the Sobibor camp found around Sobibor and Rozanka, 35 to 53 km north of Cholm, the military police killed (vernichtet) 44 Jews and captured 15 Jews. There are many more documents detailing the Nazi search and discovery of Jews (and subsequent execution), but they need not be presented here. The fundamental point is that the witnesses recalled and detailed the Sobibor revolt and escape (often a crucial part in their testimony), which is substantiated and verified by several contemporary documents. This distortion thus undermines MGK’s criticism in Sobibór that historians rely upon a February date for Himmler’s visit based only on witness statements, and neglect documentary evidence. Graf sees this as “symbolic, showing as it does how the orthodox historians operate.” The only thing that can be taken as symbolic from this instance is that MGK are extremely sloppy researchers, and distort their sources when it suits them. That they expect witnesses to recall an event in its exact detail years after its occurrence without mistake, when they themselves cannot even properly read a source, exposes the weakness of the Revisionist argument. In their works, MGK have also never systemically examined the witness testimonies in their statements outside of the gas chambers and burials/cremations. This fixation on such a limited aspect, to the utter exclusion of other information, misrepresents the body of witness testimony regarding the Reinhard camps. This is a dishonest omission by MGK, as the majority of survivors from the camps were not involved in the extermination area in the inner camp, the so-called Totenlager. Thus, in their criticisms of witnesses, they often focus on aspects that were only witnessed indirectly. They fail to provide any comparative analysis of the remainder of the witness statements, which purport other information about the camps outside of the gas chamber and cremations. In Treblinka, Mattogno and Graf fail to reference the September 1942 killing of SS guard Max Bialas, who was stabbed by an inmate during a selection that Bialas was conducting of new and old arrivals to the camp. Following the subsequent death of Bialas, the barracks for the Ukrainian auxiliaries was renamed in his honour. The killing was one of the most popular episodes of resistance to the operation of the death camps, and has been reported by many Treblinka witnesses independent of one another. The incident is detailed in the accounts by Abraham Krzepicki, Tanhum Grinberg, Shalom Kohn, Boris Weinberg, Richard Glazar and Elias Rosenberg among others. The killer was reported as being a certain Berliner, a Jew from the Warsaw ghetto, by witnesses such as Oscar Strawczynski, Krzepicki, and Rosenberg. Several survivors, in addition to many Trawnikis, also identify a grenade throwing incident from a Grodno transport to Treblinka. In their accounts, the camp witnesses also identify many of the officials and camp guards that participated in Aktion Reinhard. One of those identified was SS-Oberscharführer Karl Franz, deputy commandant of Treblinka, who was sometimes referred to as “the doll” by the inmates due to his innocent looking facial features. Franz’s presence was reported by numerous witnesses, and is also recorded in Nazi documents related to the camp. Other figures that were spoken of by witnesses include Karl Ludwig, August Miete, Fritz Küttner, and Herbert Floss among such officials. In addition to exposing the double standards and dishonesty that have been used by members of MGK across their collective works, such as the conflation of direct and indirect witnesses, the above chapter has focused on the systemic flaws inherent in the deniers’ decontextualized and isolationist look at witness testimonies. The hope of this chapter is to demonstrate how legitimate and professional interpretations of witnesses can be and regularly are conducted in the social sciences, and how such an approach differs radically from that conducted by MGK. No respected researcher in a peer-reviewed publication would be able to get away with the craziness employed by the trio in their criticism of witnesses, such as their mockeries, self-evident refutations, noting of alleged contradictions amongst witnesses (without any further analysis), or hypocritical double standards. No doubt the value of the more than 300 connected witnesses varies with every witness, but the cumulative body of evidence still strengthens with every additional statement, as the source base for the extermination camps is expanded and reinforced. Despite the heavy attention devoted to witness statements in their works, MGK have so far failed to refute that substantial body of evidence to any substantial degree, or explain the statements as anything else but proof of the reality of exterminations at the three Reinhard camps. See the section Property Plunder, Chapter 5. See Chapters 7 & 8. See, for instance, the camp witness statements Thomas (Tovi) Blatt, Alexander Pechersky, Yehuda Lerner, Dov Freiberg, Seimion Rosenfeld, Mordechai Goldfarb, Jakob Biskowitz, Ada Lichtmann. Thomas T. Blatt, ‘Dragnet,’ The Forgotten Revolt, http://www.sobibor.info/dragnet.html. MGK, Sobibór, p.58; Thomas Kues, ‘Chil Rajchman’s Treblinka Memoirs, Inconvenient History, 2/1 http://www.inconvenienthistory.com/archive/2010/volume_2/number_1/chil_rajchmans_treblinka_memoirs.php It should be kept in mind that dates are harder to remember for witnesses, especially some time after an event. Krzepicki, ‘Eighteen Days in Treblinka,’ p. 130-131. Grinberg, ‘The Revolt in Treblinka,’ p.215. Kohn, ‘The Treblinka Revolt,’ p.224. Kohn arrived after the attack, so his reference is hearsay, but he did mention Bialas’ name on an SS barrack. Arad, Belzec, Sobibor, Treblinka, pp.98-99; YVA, 0-3/565, pp.4-5, testimony of Boris (Kazik) Weinberg. Glazar, Trap with a Green Fence, pp. 54-55. Arrived after Bialas’ killing. Rosenberg, Tatsachenbericht, Wien, 24.12.1947, pp. 3-4. 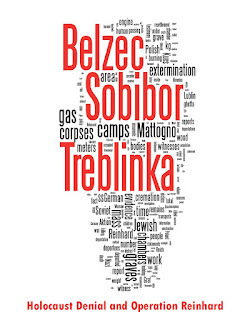 Strawczynski, Memoirs: Ten Months in Treblinka, XLV. Krzepicki, ‘Eighteen Days in Treblinka,’ pp.130-131. Arad, Belzec Sobibor Treblinka, pp.254-6, cf. protokol doprosa, Yakov Karplyuk, 29.9.1961, and protokol doprosa, Nikolai Skakodub, 3.5.1961, ASBU Kiev 66437-14-9, p.164; 66437-14-31, pp.293-4. See, for instance, the testimonies by Krzepicki, Wiernik, Rosenberg, Willenberg, Grinberg, Rajzman, and Strawczynski. SS-Sonderkommando Treblinka, Beförderungsvorschlag, 1.9.1943, gez. Kurt Franz, AIPN CA 903/2, p.11.